Multiple metal elements are combined to form alloys to create a substance with greater strength and resistance to corrosion. Zinc is commonly used for this purpose, and zinc alloys have a variety of applications. Zinc, a shiny metal known for its bluish-white color, occurs naturally in the environment. It is mined mainly from North America, Northern South America, Australia, and Central-East Asia. The metal has been known and used since at least 1400 to 1000 B.C. Use of zinc as an alloy dates back to the ancient Romans and possibly even before that. Brass, the most common zinc alloy, is used in construction and to make cast items such as musical instruments. Brass is made by combining zinc with copper. Zinc is often a component of a nickel-copper alloy known as nickel silver, which is used to make silverware. The name “nickel silver” is a misnomer, as the alloy contains no silver. 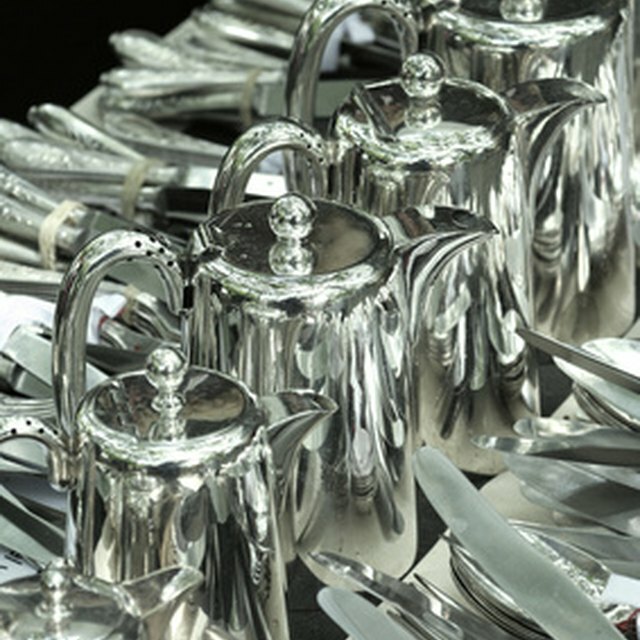 Passion for the Past Antiques: What is Nickel Silver? Danny Djeljosevic is a freelance writer and blogger living in San Diego, Calif. He pursues a variety of interests including writing (blogs, prose, screenplays and comic books), criticism and filmmaking. Djeljosevic has a Bachelor of Arts in English from the University of Florida. Djeljosevic, Danny. "What Is Zinc Alloy?" Sciencing, https://sciencing.com/zinc-alloy-5875895.html. 13 March 2018.